This article (by Barry Brook) was originally published on The Conversation website until the title: “Low-carbon electricity must be fit-for-service (and nuclear power is)“. You can wade through the 224 comments over there (if you dare…) See also the comment here by Keith Orchison. To paraphrase George Orwell, “All electricity is created equal, but some of its generating technologies are more equal than others”. This is a key point – emphasised but typically overlooked – in the new report Australian Energy Technology Assessment (AETA) on current and future costs of electricity options for Australia, released yesterday by the Bureau of Resources and Energy Economics. Assessing the ‘levelised’ costs of existing energy technologies is already surprisingly difficult, given the array of assumptions that need to be made, on capital and owner’s costs, financing terms and associated risk, facility lifespans, fuel supply, government policy interventions, and so on. It gets even more challenging when projecting future cost changes, because learning curves and settled-down costs, uptake rates, future fuel and material supply bottlenecks, training, price incentives, social license, and other ‘known unknowns’ need to be factored into the economic modelling. So the AETA authors had a difficult task on their hand. Perhaps the most contentious, yet important task, is defining the relative market value and role for technologies within a national electricity system. From the perspective of replacing fossil-fuel combustion with alternatives, a crucial issue is how effective it is, at a large scale, in providing a fit-for-service replacement for existing coal plants. Proven: Has the technology been used at commercial scale? Scalable: Can the technology be built in sufficient quantity to replace significant proportions of existing fossil-fuel generators? Dispatchable: Can the output be allocated by the system operator to meet the anticipated load? Fuel supply: Is the energy source reliable and plentiful, even when, as with some kinds of renewable energy, it varies with time? Load access: Can the generator be installed close to a load centre? Storage: Does the technology require electricity storage in order to deliver a high capacity factor? Emission intensity: Is the emission intensity high (>300 kg CO2e/MWh), moderate or low (<100)? Capacity factor: Is the capacity factor high (>70%), moderate or low (<40%)? For a technology to be considered fit-for-service as a baseload generator (i.e., a direct replacement for coal or combined-cycle gas power plants) it needs to be scalable, dispatchable without large storage and have a reliable fuel supply, low or moderate emissions intensity and a high capacity factor. The only current technologies that score well enough to meet these criteria are nuclear power and solar thermal with thermal storage and/or hybrid gas. Coal and gas with carbon capture and engineered geothermal could also qualify but are only at the pilot plant stage of development. At present, the use of large-scale electricity storage is prohibitively expensive in most networks. As Tony Owen has pointed out, there are significant economic issues in deploying storage and new generating technologies, stemming from the high capital costs and complexity of operating in liberalized energy markets. Enthusiastic supporters of various renewable energy technologies have long made claims that all or most of the world’s electricity needs could be met with renewable energy. Yet what the AETA study and a large body of authoritative international work by the International Energy Agency, Intergovernmental Panel on Climate Change and others have shown is that the costs involved are high, and hence a reliance on future major advances on that front in order to be competitive with other, low-emission, alternatives is highly speculative and risky as a focal part of any plan to secure future energy. So, the projections in the AETA report for 2020, assuming a rising carbon price, seem quite attractive for onshore wind ($90/MWh), with longer time-frames bringing down the costs of solar photovoltaic dual-axis tracking systems and various solar thermal systems with heat storage (from an average price of $366/MWh in 2012 to a forecast cost of around $180/MWh in 2030). Yet it will be the ‘masked costs’ of gigawatt-hour-scale energy storage (e.g. pumped hydro or flow batteries) or extensive and high-carbon alternative of open-cycle gas-fired backup – critical for ensuring that electricity supply always meets the grid demand – that will be what matters most to Australia’s future decarbonisation plans. Projected LCOE does not necessarily provide a reliable indicator of the relative market value of generation technologies because of differences in the role of technologies in a wholesale electricity market. The value of variable (or intermittent) power plants (such as wind, and solar) will depend upon the extent to which such plants generate electricity during peak periods and the impact these plants have on the reliability of the electricity system. Unlike dispatchable power plants (such as coal, natural gas, biomass, and hydroelectric) – which are reliant on some form of stored energy (e.g. fuels, water storage) – wind and photovoltaic power plants do not, typically, include energy storage. To cater for sudden, unpredictable, changes in the output of variable power plants, it is necessary to operate responsive, dispatchable power plants (e.g. hydro, open-cycle gas turbines) in a back-up role to maintain the overall reliability of the electricity system. As a result, LCOE by technology is not the only factor considered when deciding what type of electricity generation plant to construct. This is a key reason not to ignore nuclear fission. Uniquely (at present), it is a proven fit-for-service low-carbon ‘plug-in’ alternative for coal that is commercially available, deployed widely in some countries (e.g., France, U.S., South Korea), is highly scalable, and its engineering and operational experience have advanced greatly over the last fifty years. It indisputably has its own problems, but so do all of our other electricity options. To recast Milton Friedman’s popular aphorism, “there is no such thing as a(n electrical) free lunch”. 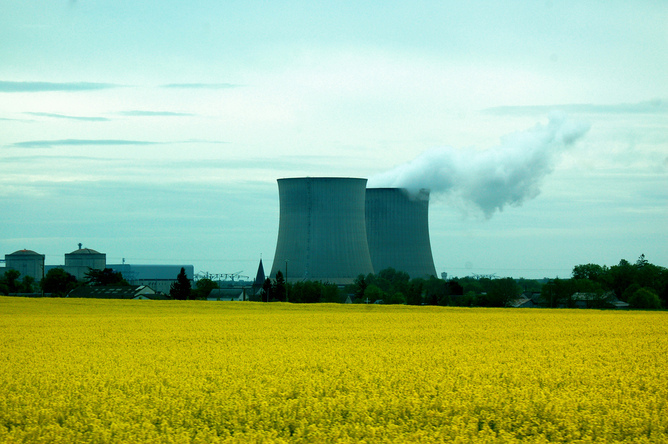 Indeed, I would argue that the principal limitations on nuclear fission are not technical, economic or fuel-related (as the AETA report points out), but are instead linked to complex issues of societal acceptance, fiscal and political inertia, and inadequate critical evaluation of the real-world constraints facing low-carbon alternatives. We need to take a rational and holistic perspective on low-carbon energy options. As we know from day-to-day consumer affairs that although low prices are an important consideration, a product does not constitute ‘value for money’ unless it can also deliver its intended service adequately. Different electricity technologies will play various niche roles in future markets, and renewables will be obviously important for Australia. But for the heavy-lifting job of supplying abundant low-carbon electricity to the always-on baseload market – to displace coal from our grid – we simply can’t ignore nuclear energy.